Editor’s Note: Readers of this site will have seen discussion here about the extent to which Obama—or any president—is free to significantly deviate from a consensus on most “security policy.” For a recent example, see “Why Obama Cannot Undo the Surveillance Society—But We Can.” Nonetheless, it is reasonable to ask: if Obama is the top decision-maker in this country and a purported civil libertarian, why does he not try to make meaningful changes in the law to protect privacy and other rights? And what changes could he make? Cynthia Cooper addresses these possibilities below. Despite the damage already done in secrecy to American citizens’ Fourth Amendment rights—as revealed by Glenn Greenwald in his explosive article in The Guardian on June 5, 2013, and by others (see below)—President Obama could still do plenty to respond to Americans’ legitimate concerns about overreaching electronic surveillance. Minimization. Discard information collected on innocent Americans, as suggested by former U.S. Senator Russ Feingold of Wisconsin. This would bolster “minimization,” a form of legal harm reduction, according to the senator. Anonymization. As suggested in 2010 by Kate Martin, Director of the Center for National Security Studies in Washington D.C. The spooks could only access identity if a connection to foreign intelligence were discovered. Transparency. Make available to the public secret court rulings or unclassified summaries, as suggested by Senator Jeff Merkley (D-OR). Disclosure. Support a report on the impact of the law on American’s privacy, or one with basic information on the NSA’s vacuuming up of wholly domestic communications, both proposed by Senator Ron Wyden (D-OR). The 1978 FISA law established a framework for collecting intelligence, while protecting Americans from unwarranted surveillance. The law was designed to prevent abuses by the executive branch, and provide safeguards to balance the Fourth Amendment with security needs by setting up a process of confidential applications for surveillance through the FISA court (FISC). President Bush circumvented the process altogether and began signing executive orders authorizing surveillance on his own, illegally, starting in 2001. And his administration completely dismantled and rewrote the architecture of the law with the intent of extending executive powers, eventually embedding them in a new law, the FISA Amendments Act of 2008 (FAA). The 2008 law allows the executive branch, on its own, to order secret electronic surveillance of foreigners for foreign intelligence needs. And it weakened the old law’s prohibitions on the collection of information on Americans. “It’s now embodied in the FISA statute that we passed last year,” Richard Cheney later crowed to ABC News about the Bush illegal surveillance activities. President Obama inherited this law when he took office in 2009, and has done nothing since to correct, or shine light on the scheme. And so the same assaults on Fourth Amendment rights go on, but with a legal patina. Horror stories about the government’s mass surveillance of the private communications of Americans flooded the news after Glenn Greenwald reported, in The Guardian on June 5, 2013, that the National Security Agency (NSA) and Federal Bureau of Investigation (FBI) had been granted carte blanche, under FISA, to collect information on phone calls and emails of Americans. Within days, The Guardian and the Washington Post released more stories about an international mega-data collection project called PRISM, which apparently drew information directly from the servers of Internet companies and social networks. An employee of a NSA contractor, Edward Snowden, claimed responsibility for releasing the information. But the element that most shook up civil libertarians was the inside view, offered for the first time, of the expansive powers the executive branch is claiming. In order to magnify the powers of spy agencies to search and seize information on U.S. citizens, the government piggybacked two separate laws: the FAA—and the USA Patriot Act. This strategy became apparent when on June 5, 2013, The Guardian published an actual court order from the FISA Court (FISC). The order required Verizon Business Network Services to turn over records on all domestic telephone calls for a three-month period. How does this work? The law (FAA) allows the executive branch to order secret electronic surveillance of foreigners for intelligence or counter intelligence needs. But targeted surveillance of Americans in the U.S. —as opposed to foreigners—requires an application to the secret court, although approval can be procured by merely showing relevance to foreign intelligence needs. But what if no relevance to foreign intelligence needs can be found? Enter the Patriot Act. Under the court order, the government combined FISA powers with the USA Patriot Act. Section 215, which allows the FBI to collect any “tangible thing” from third parties if it is relevant to an investigation of terrorism or clandestine intelligence activities. This provision can be employed “even if there is no showing that the ‘thing’ pertains to suspected terrorists or terrorist activities,” according to the American Civil Liberties Union. Combining authority from the Patriot Act and FAA,The Verizon order sweeps in “all call detail records of ‘telephone metadata’ created by Verizon for communications … wholly within the United States, including local telephone calls.” In the Verizon order, the “thing” is delivered to the NSA, not the FBI. After The Guardian published the Verizon order, observers began to understand what alarmed the two senators. “It is simply different and grander in scope and scale from anything we had thought the law meant,” wrote University of Texas law school professor Robert Chesney and Benjamin Wittes, senior fellow at the Brookings Institution. How long has this surveillance been going on? When The Guardian published the previously secret information, Senator Diane Feinstein (D-CA), head of the Senate Intelligence Committee, defended the order, saying it was necessary to “keep the homeland safe.” And she said, “[T]this is the exact three-month renewal of what has been the case for the past seven years. This renewal is carried out by the [FISA] court under the business records section of the Patriot Act.” According to Feinstein’s timetable, President Bush was signing illegal orders from 2001 to 2007 (unclassified report of five Inspectors General). The press had occasionally raised questions about mass surveillance of Americans’ communications. USA Today exposed in 2006 that the NSA was secretly collecting phone call records of billions of Americans, using data provided by AT&T, Verizon and BellSouth, dating back to 2001. This operation included all domestic phone calls, from across the street or across the country. The published Verizon order is likely another instance of the same operation. He expressed concern about provisions extending blanket immunity to telecommunications companies for misuse of customers’ data. What did Obama do about that? On May 26, 2011, Obama signed a four-year extension of Section 215 of the USA Patriot—without addressing the many questions surrounding its use. When the FISA law came up for review in 2012, Attorney General Eric Holder and Director of National Intelligence James R. Clapper urged “reauthorization of these authorities in their current form.” And Obama complied. He didn’t lift a finger to support even modest protections for Americans from overreaching by the government, or at least some public accountability about what is going on. 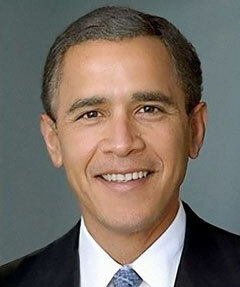 On December 30, 2012, he signed a five-year extension of the FISA law. All kinds of people—senators, reporters, pundits, citizens, barking dogs—warned Obama that the FAA was riddled with flaws and that the executive branch agencies were out of compliance with it. None of the documents showed how many Americans had their communications intercepted, how much of the intercepted information was unrelated to terrorism or how much is covertly used for criminal investigations, said Spencer Ackerman in the Washington Independent. Turner said that a joint oversight team didn’t see this as a problem because the actions to “violate or circumvent the requirements of the law” weren’t “intentional or willful,” the agency representative said. The letter also said that problems, when discovered, are remedied. Wyden released this information, but his fellow Democrat in the White House refused to hear it. Former President Bush was never held accountable for his serial violations of the FISA law. The statute of limitations runs until at least 2014, possibly longer under some interpretations of the law. There are so many ways for would-be terrorists to communicate, it’s not clear how all this is supposed to keep us safe. It’s more likely to keep us broke. Americans deserve an accounting that explains how these massive, relentless invasions of privacy are balanced by incremental advances in security. Swathed in layers of secrecy, the unchecked metastasis of the American Surveillance State seems to reflect Bush’s legacy more than his Presidential Library in Dallas. And it may reflect Obama’s legacy as well.